Robert Keeley and his crew are fans of Zappa. Rabid Fans. This pedal explores some of the famous, but very hard to find sounds of the past. Keeley Engineering has created another batch of Neo-Vintage effects that never were. This time Keeley has made the Flanger and Phaser in dynamic with your pick attack and strength. Then add the Random Stepped Filter with the new “M-Style Synth” bandpass shaping feature, and you have a lead guitarist’s dream tool. Shut up and play your effect pedal! Yeah, you play this thing like an extension of your mind and fingers. 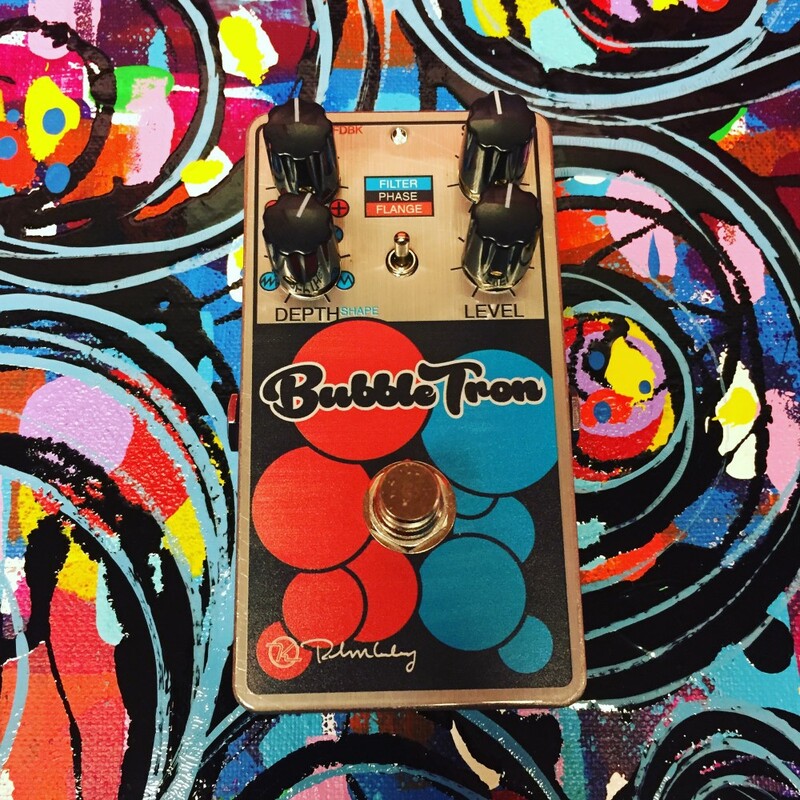 The Keeley Bubble Tron Dynamic Flanger Phaser and Random Synth Filter has three modes of operation. The Flanger section of the pedal draws on inspiration from the MicMix DynaFlanger. This incredible piece of gear was used by FZ to create many of the sounds in the late 70s to mid 80s where a dynamic flanger was used to get envelope based flanging in his solos. A dynamic flanger is one that starts and stops based on your pick attack or envelope. The word envelope is used because if you were to measure the “weight” of your guitar signal and put it in a storage container (the “envelope” is an imaginary capacitor) it can then be used to control another part of the circuit. 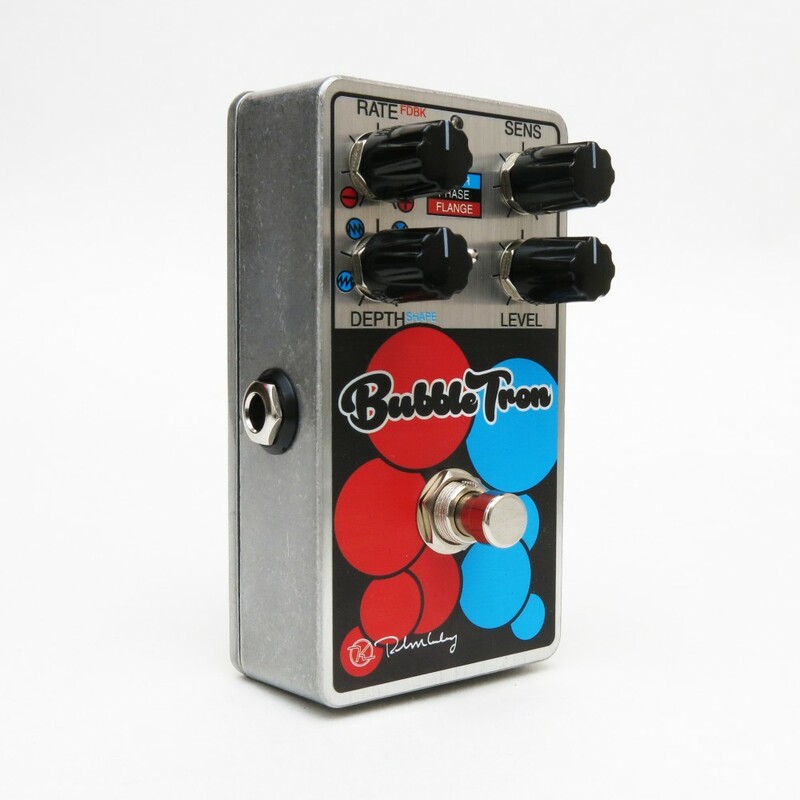 The Bubble Tron uses your playing to start and stop the flanger. Most flangers just cycle around and around and you can hear that swooshing in the background. Not in this case, it only cycles as you play. Many flangers offer only positive or negative feedback. This one allows you to try either with the FDBK Control. The negative feedback sounds more vocal like and hollow to my ears while the positive feedback is more conventional and has a thicker, smoother sound. 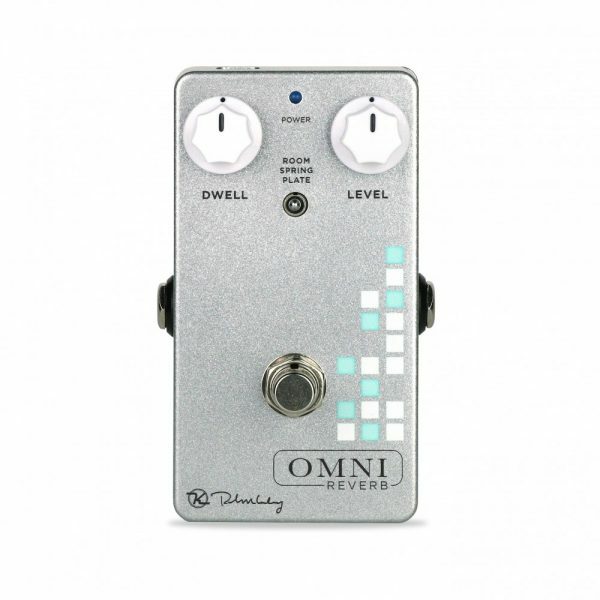 The Sensitivity Control allows you to set how delicately you want to play and have the flanger go fully crazy on you. You can set for crazy silverback gorilla flange or easy flangin’ on Sunday morning. The Depth Control is just that, how deep you want the flanging to be. The DynaMoPhase section of the Bubble Tron is actually two phasers. One has an LFO that you set the speed of with the Rate Control (while it’s depth is dynamically controlled) and the other is a true Dynamic Phaser. It starts and stops based on your pick attack. Again, you can set the Depth and and Sensitivity of this phaser to give you a very watery sound that is all based on your guitar’s signal. You can turn off the standard phaser and just run it DynaPhase by turning the Rate Control off. 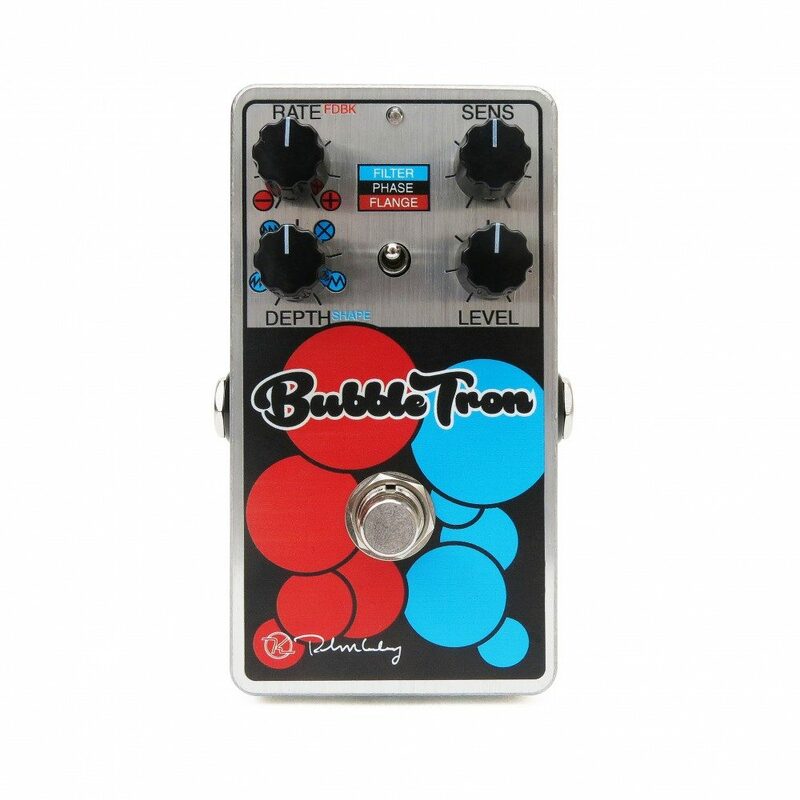 The only effect that isn’t dynamic is the Filter Section of the Bubble Tron Dynamic Flanger Phaser. With the Filter you can control the different ramps or random nature of the pedal with the Shape Control. 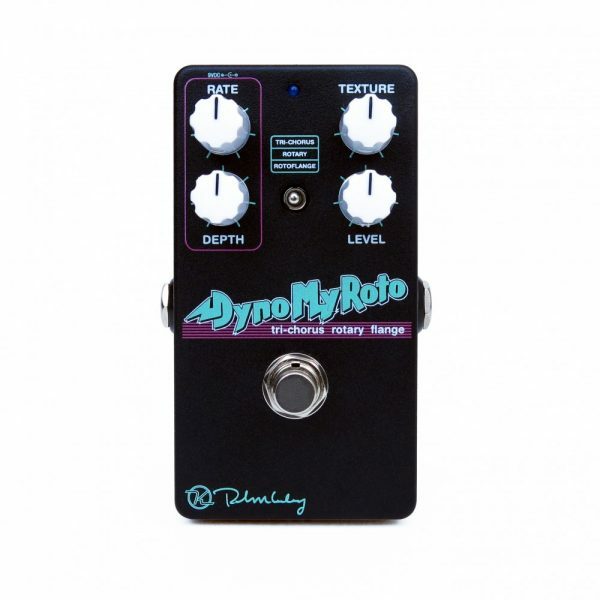 The very exciting part of this pedal is the Sensitivity Control which is actual like a vintage synth style bandpass filter control. It shapes the bandpass filter on the filter and gives you some incredible keyboard like sounds. Listen here. Filter by Paul Priest. One very nice side effect of dynamic based effects is that they don’t produce the constant, swooshing sound of LFO based effects. If you’re a lead guitar player that likes to explore and has never had the kind of expression or dynamics from your sound effects that you have in your mind, this is for you. If you are a sound-experimentalist, this is for you! The sounds are nearly endless in that your input shapes what the effect will do. 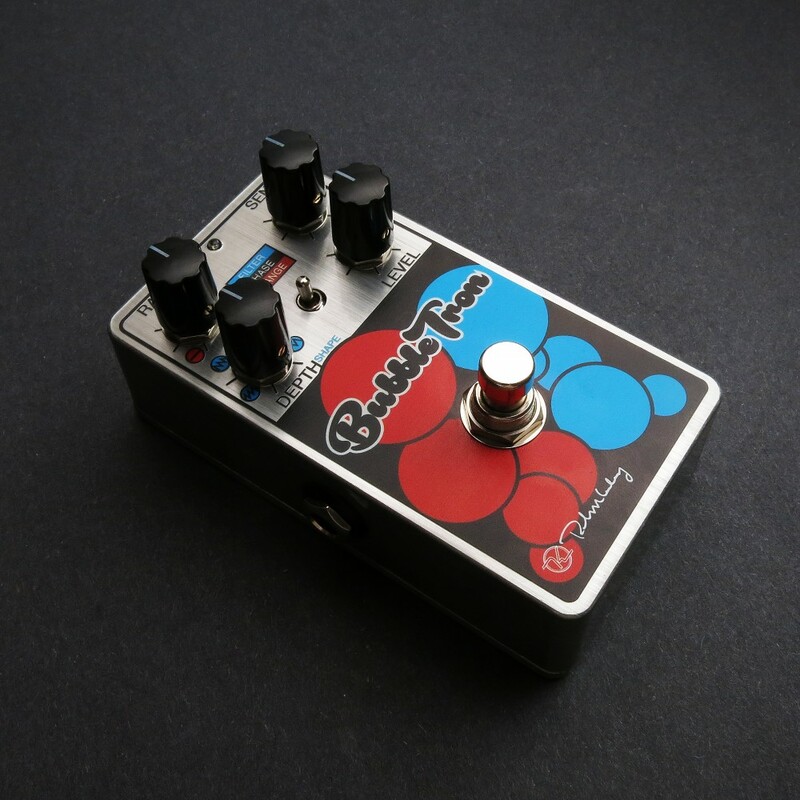 The Bubble Tron Dynamic Flanger Phaser is made in Edmond, Oklahoma by rabid Zappa fans. It was Designed and Engineered by Aaron Tackett, Craighton Hale and Robert Keeley.